You are here: Home / Crochet Other / Giveaway / Link Party 11 Includes Even More Yarn and Craft Giveaways! Welcome back! 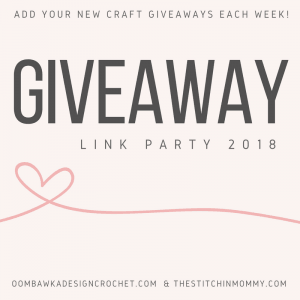 Giveaway Link Party 11 includes even more yarn and craft giveaways! March is National Craft Month so there are tons of great giveaways taking place! Be sure to pop by the March Giveaway at Leisure Arts!